Our hair care clinic’s team provides many kinds of hair care services. 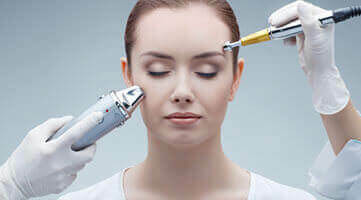 Do you want to have healthy-looking hair on your head but are too scared of surgery? Then you are at the right place as we offer non-surgical hair replacement. This remedial methodology is quite developed. The procedure involves restoring hair by adding new hair strand by strand. The hair is affixed on top of the bald area using Si soft bond, clips and Si tapes. 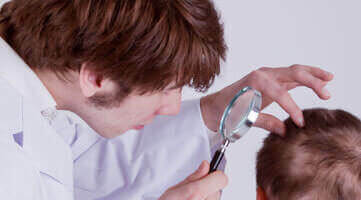 This procedure does not involve any kind of surgery and is therefore famous as non-surgical hair transplant. All these are non-surgical hair replacement procedures that add additional hair to the scalp strand by strand. We make use of the Si soft bond so that you can do everything you like such as riding your motorbike, shampooing your hair, applying hair oil, swimming and even playing your favourite sport. There are absolutely no rules that you have to follow when you get non-surgical hair replacement done. Our team provides many kinds of hair care treatments. Wigs are a great solution for those who suffer from hair loss. They are easy to put on and don’t involve any time-consuming procedure. There is no risk of surgery and the procedures mentioned above are not too heavy on the pocket. You can get the best results at reasonable rates if you approach our clinic. We will provide the best possible solution and ensure that you don’t return home disappointed. Hair extensions are for those who want to have long hair or add more volume to it. There are many different kinds of hair extensions such as the temporary one that can be removed each day, the semi-permanent one that can be worn for 6-8 weeks and the permanent one which can be worn for months together. Hair fixing is also a non-surgical procedure and it gives you a very natural look along with being a less time-consuming procedure. It is the best option for those who are totally bald. You can get an instant new look with hair replacement regardless of the reason behind your hair loss. You can get the new hair matched to your own hair. This one is a painless and versatile option along with being affordable! You can get hair bonding done if you are suffering from hair loss. 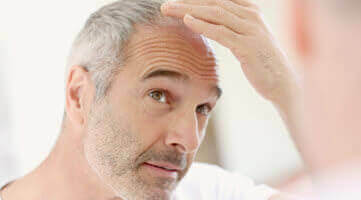 When compared to surgery, this non-surgical hair replacement is a better and cheaper option. It works well even in case of hair thinning. It is ideal for both men and women. Basically, hair weaving refers to the procedure of adding hair to cover your baldness or add hair to your real hair. Different hair weaving types include netting, bonding, fusion, tracking, micro braiding and lace extensions. It is up to you to choose your hairstyle. Hair weaving is done for different stages of baldness. We would be happy to help, you can also view our gallery of success stories. I feel much more positive about dealing with my hair problem now. Thank you PS Hair Replacement for all your help, my hair has caused me so much anguish, I'm feeling better in myself. Thank you haircare.
" I would totally recommend anyone to have it done. I would have it done again in a heartbeat. Yes, I would totally recommend PS Hair Replacement for all needed people."